TD Canada has announced some good news for customers: Interac e-Transfers will soon go free for customers with TD Unlimited Chequing and TD Every Day Chequing accounts. The bad news? 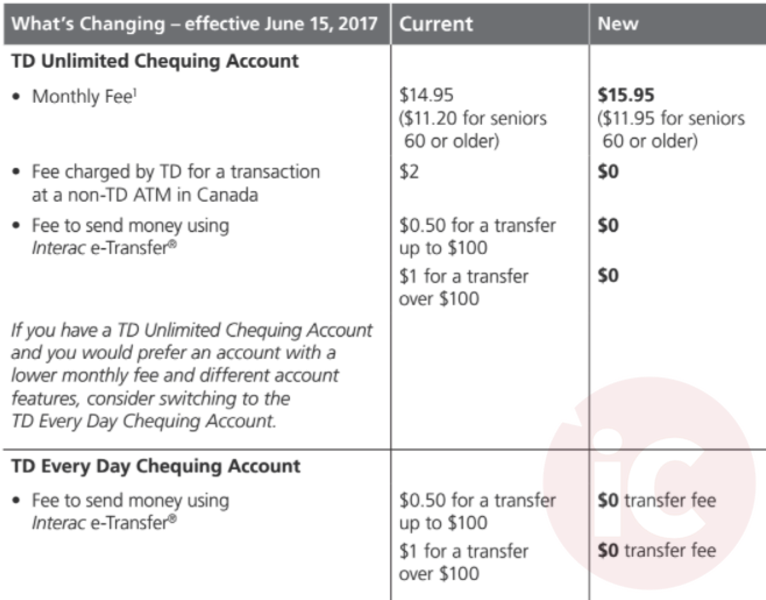 TD Unlimited Chequing Account monthly fees are set to increase $1 from $14.95 per month, to $15.95 per month, starting June 15, 2017. 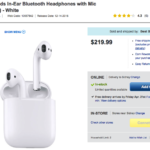 Last July, TD Canada reduced their Interac e-Transfer fees from $1.50 down to $0.50-$1.00, depending on your account (TD All Inclusive Banking Plans went free at the time). But now, we’re seeing Canada’s big banks move to free Interac e-Transfers, such as RBC and BMO—and now TD Canada. Expect CIBC and Scotiabank to follow suit, sometime soon. Canadians are increasingly sending money via mobile devices, as last year RBC stated over 50% of their Interac e-Transfers occurred on mobile. Interac announced last month Canadians sent a record 158 million Interac e-Transfers last year, an increase of 50% compared to a year ago. Some banks are implementing iOS APIs to make sending Interac e-Transfers easier. Last month, Scotiabank launched an iMessage extension for Interac e-Transfers, while RBC debuted support for Siri to send money to friends.